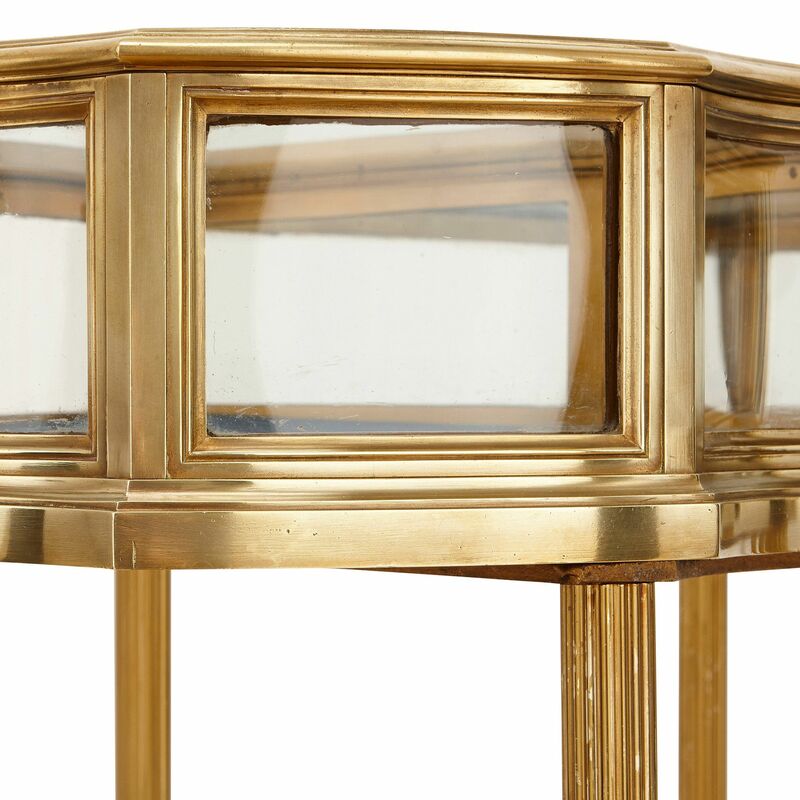 This beautiful French vitrine table, slender and elegant in design, is ideally suited to displaying precious works of art, jewellery or a collection of antiques. 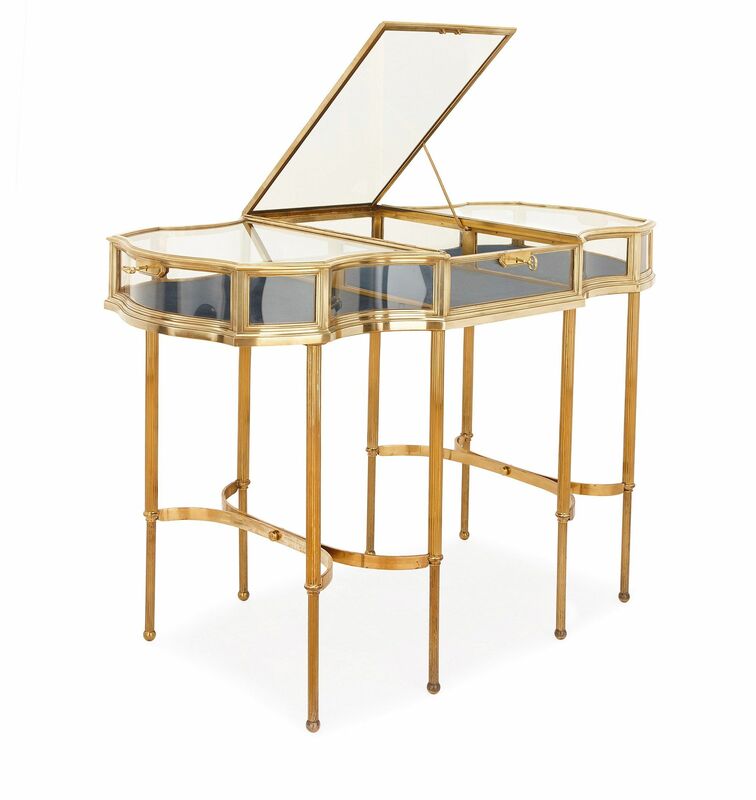 With a refined and sophisticated design, this vitrine table perfectly straddles the delicate balance between enhancing the wares displayed within, and offering its own graceful charm. 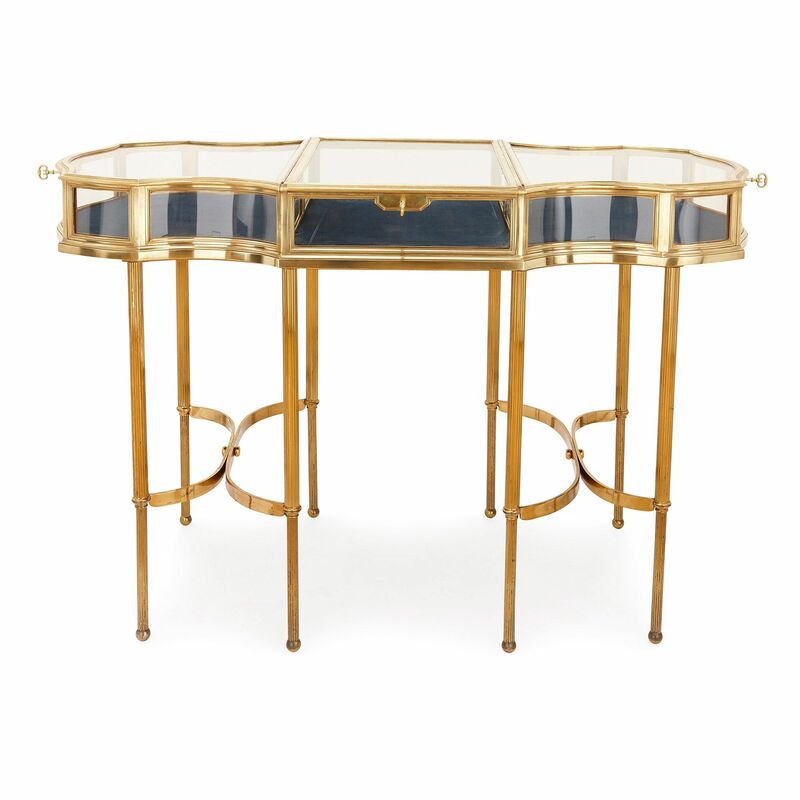 The table features a brass frame, polished to a high shine, which is set upon eight reeded legs with ball feet. 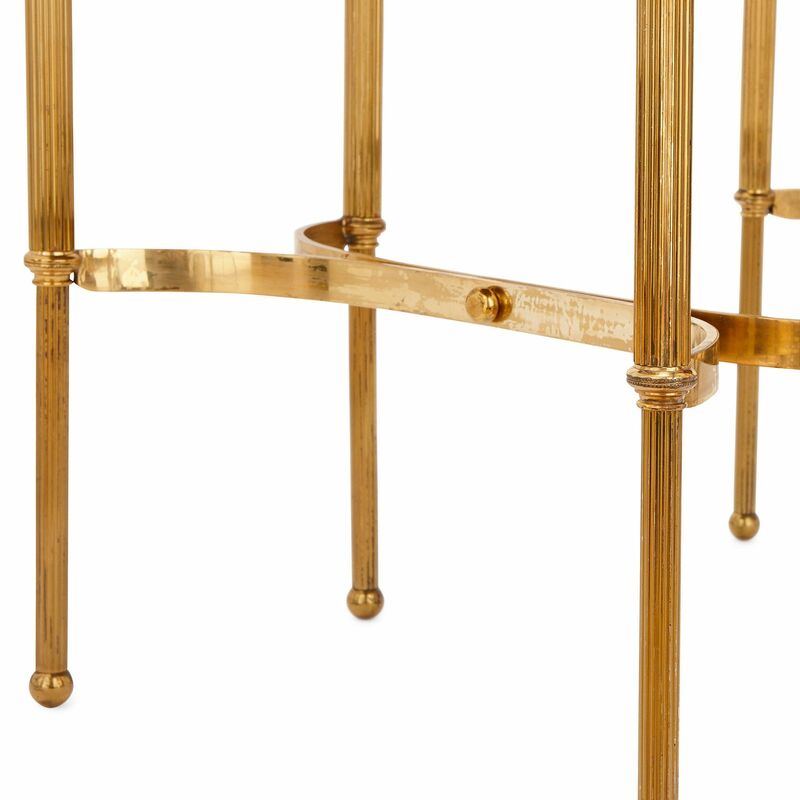 The legs are joined by curved stretchers in 'x' shapes, and support the upper vitrine tabletop. 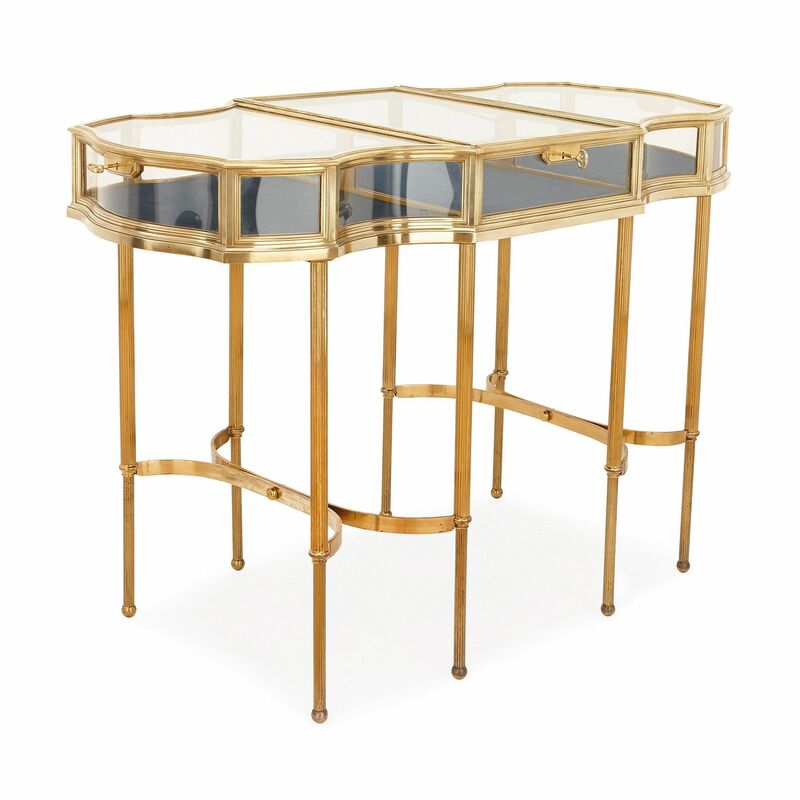 The tabletop, crafted in three sections, is of a rectangular form with undulating, curved edges and glass panels all around. 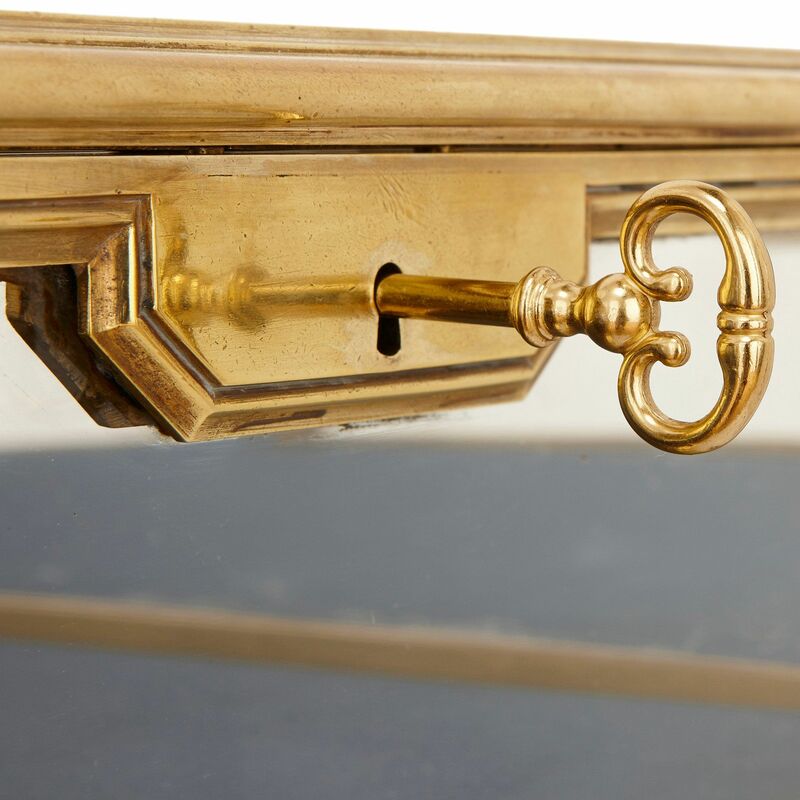 All three sections are hinged and lockable with a key. 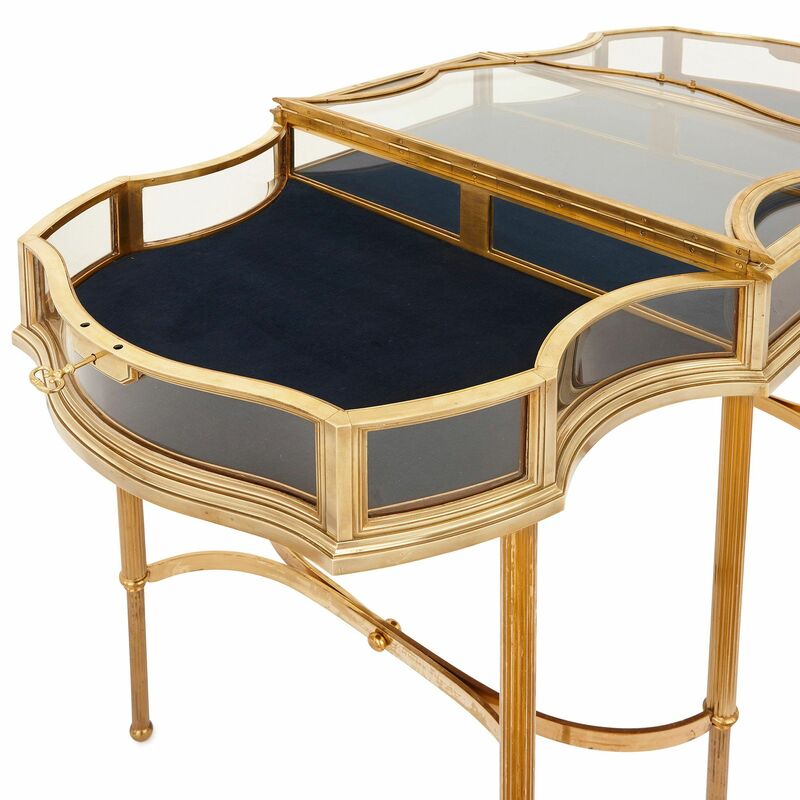 The display surface within the vitrine is lined in rich, royal blue velvet - an elegant choice which compliments both the design of the table and would enhance the objects exhibited within.